Buried in the big ScanSnap Cloud announcement is another interesting tidbit. There is a change to the ScanSnap included software: the ScanSnap iX500 now comes with Nuance Power PDF for Windows and Nuance PDF Converter for Mac. Once upon a time, there were Windows ScanSnaps (Black) and Mac ScanSnaps (White). The Windows ScanSnap desktop models came with Adobe Acrobat Standard for Windows, and the Mac ScanSnap Desktop models came with Adobe Acrobat Pro for Mac. 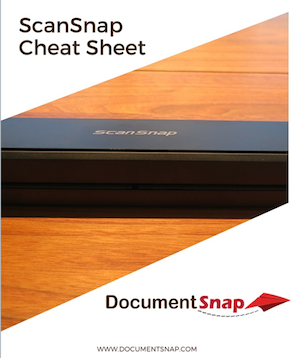 The ScanSnap included software was a big selling point because if you know anything about Adobe Acrobat, you’ll know that it is extremely expensive. The problem with this was that (I assume due to business development hell between two huge companies) the included version of Acrobat was usually one or more versions out of date. This was even more of an issue when Operating System upgrades started impacting these old Acrobat versions. When the iX500 was released as a hybrid Mac and Windows scanner there was one desktop ScanSnap to rule them all. The decision was made (again, I am guessing due to cost/bizdev hell) to only include Acrobat X for Windows. Mac users were left out. Not an ideal situation. As of June 2016, the ScanSnap iX500 will no longer come with Adobe Acrobat. Once the currently stocked units move out (read: if you want a ScanSnap with Acrobat for Windows you’d better act fast), the iX500 will come with a Nuance Power PDF Standard DVD and a Nuance PDF Converter DVD. I haven’t managed to get my hands on the Nuance software so I haven’t tested it myself yet, so it will be interesting to see how it compares with Acrobat. If you’re familiar with the Nuance PDF applications, leave a comment with your thoughts. I am using an IX500 since 3 years with satisfaction. 3 months ago, my scansnap manager software did not want to launch, asking for a new version : I installed the new Snansnap home on my mac (last OS Mojave 10.14). Launching it is getting a licence popup asking for an account and a license number. I tried to get these, but it seems that was not required before. Tried every possible issue and Fujitsu documentation or help : Nothing gave me a good issue. Asked to Fujitsu support : I never got an answer. What can i do to get out of this infernal situation ? Thanks. Pierre. It would be helpful to have more information. I see you are using Mojave 10.14 but you don’t explain the progression of how you got to your final state of ‘not working’. 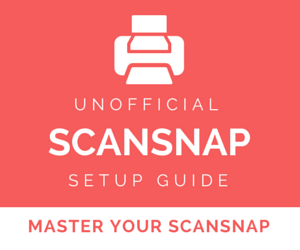 Did you perform the 10.14 update and now your ScanSnap is not working? Or did you move to a new computer that had 10.14 installed? When did it last work? I am disappointed Adobe s’ware no longer provided. Sounds like Nuance is a Nuisance. Can I just install the adobe s’ware from one of my other three iX500s? Some time after last summer’s scramble to a) upgrade Win 7 to 10 before the free deadline b) quickly revert back to win 7 after, as Win 10 looked overall like a giant cluster that failed to function with prior programs etc, I had not been scanning docs regularly. In the past few months, out of the blue it seems, my ix500 scans just fine, but no longer makes any successful text conversion, either during a scan, or as the separate function later when accessed in the ScanSnap Manager interface. The ABBYY software appears intact, but all I get is an OCR Error(10) code, that the Fujitsu site does not search, and in fact their website is useless except for infomercials. Has anyone found a solution for this, or alternative free software that will do conversion within the PDF? Was this a function of Fuji discontinuing the Adobe affiliation? It is very insulting to have reliable programs suddenly become unworkable. 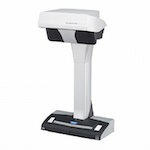 Just bought a new ScanSnap iX500 to connect to my new Dell Inspiron 700 laptop. Started to install the included software from the DVD’s. The first disc contained ScanSnap Manager, Organizer, etc. The second DVD, Nuance Power PDF Standard for Windows and Nuance PDF Converter for Mac. When trying to insert the first DVD I discovered my shiny new laptop didn’t have a disc drive. Oops! Went to the Fujitsu support site and downloaded everything except the Nuance PDF software. NOTHING AVAILABLE! A call to Fujitsu provided me with the knowledge that they couldn’t assist me. I would have to call Nuance. If you want to install the included Nuance PDF software without a disc drive this is what you need to do. Call Nuance Customer Service 800-654-1187, M-F 9am to 6pm. Have the scanner Part Number, Serial Number and proof of purchase. You can fax or email the proof of purchase. A couple of hours after submitting my proof of purchase I received an email with a download link for the installation. Everything is working well except I can’t activate the program using the serial number on the included DVD. I’m using it as Trial Version. I’m writing this on Saturday October 8th. Hopefully a Monday morning call to Nuance Customer Service will get me a fully working version of Nuance PDF. I have no idea of what percentage of laptops sold today have a disc drive but my guess is it’s small. Making your customer jump through all of these hoops to get a fully working product is imho really bush league. Way to go Fujitsu! I hope this saves a few people 2-3 hours of wasted time. Nuance PDF came with my new IX500. I made the mistake on installing Nuance PDF to my PC and it messed up my CutePDF software. I uninstalled the Nuance program but CutePDF is still not working now. Also, it looks like a trial version and requires you enter a product number. 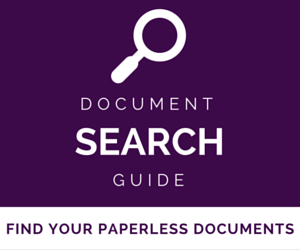 Hi, As a general interest on scanning and document handling. I purchased PDF Professional Advanced. It is the best PDF handler that I have used and I like it better than Acrobat and is much less expensive. $99. USD on special. The only downside is that it won’t talk to my ix500. I was told that when I bought the scanner, but it was still worth my while for its good features. If someone knows how to get it to recognize the ix500 that would be awesome. Thanks for your suggestion. I am going to try it. Just bought an ix500 to replace my S1500M. From a quick look the Nuance PDF Convertor for Mac is a rebadged Smile PDFPen Pro, but unfortunately not the latest version which converts to MS Office formats locally rather the the Nuance process of online. Ok for nothing but of little value for those that already have PDFPenPro. For your info… Fujitsu has receipt scanning software. I am currently testing it and it seems to work fairly well. I am not sure which is better receipts scanning software Neat or Fujitsu. The verdict is still out on that. I have done a lot of research on scanning and there are as yet, no perfect solutions. I have the ix500 and the fi7160 … the ix500 software is much more user friendly. The instructions for the fi7160 are lacking in being easy to understand. The ix500 is the better bang for the buck. Also Abby is coming out with receipts scanning software. I have the option of testing the beta version which I intend to use. Rather than running different sized receipts through my ScanSnap ix500 after a trip, I just take out my phone and take a picture using the Evernote app. Of course, multiple other apps do the same thing. I know that I’m far less likely to forget about/lose receipts if I take the easy way out. I am not sure if you were responding to my post or just commenting in general. I am guessing you may have been responding to my comments since I was referring to scanning receipts. ScanSnap Receipt and Neat Receipts both include the ability to OCR. They also are setup in a similar way and have a similar filing system. All good there. 1. Neat Receipts has a dictionary available to AppleScript, ScanSnap Receipts does not. For the average user this point will go unnoticed. To someone who uses scripting to automate things on their Mac this will be a bigger deal. 2. Neat Receipts has some additional settings for exporting data which ScanSnap does not, nor does ScanSnap even tell you during export what type of file you’ll get. It’s likely .CSV but on the Neat software there are several choices, setting, and date ranges you can set or adjust to your liking. Very smart. Very useable software. The Neat software is also closer to the PC versions having a full complement of features. We MacOS folks sometimes get the short stick as far as features when companies take the time to write Mac versions of their software. Some companies can be really lazy not including features on Mac versions which are readily available on the PC versions. The clients on PC versus Mac are radically different and in the case of the ScanSnap Software the included application is superior on the PC. Since I use a Mac I can’t use the PC version unless I run a VM on my Mac which I don’t want to do. I agree completely with you about the ix500 having great bang for the buck. If I had my way I’d have 4 or 5 of ’em in the house. They are just so handy! It’s likely the ScanSnap Receipt software will get better though over time. That’s usually what happens with products that are as popular as the Fujitsu ScanSnap line. You don’t have to buy the software. Just sign up for a free trial. You don’t have to use the cloud component. You can just use it locally. Brooks, Have you done any testing to see if installing Fujitsu’s new software interferes with Neat software? 1. 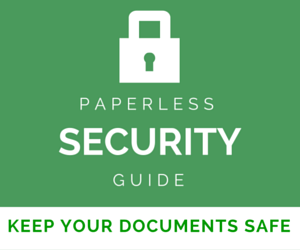 Doesn’t require putting documents in the cloud. (However, you can if you want to). 2. 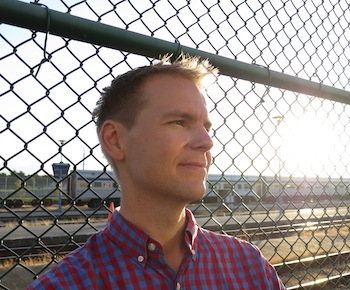 Seems to favor a cloud business model that welcomes all – including ScanSnap users. (Smart because it means they understand that cloud services should be available universally to any user or hardware platform). 3. Software handles OCR very well and doesn’t require launching a third party app or uploading to the cloud for OCR to occur. I get errors with PDFs that are not scanned using the ix500. AbbyFineReader balks at anything not scanned into it from the ix500. 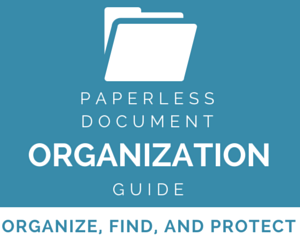 I should be able to move current PDFs from my filing cabinet where I have 1000s of old documents into my Document Management Software with little hassle and it should be seamless. When I started all of this I was running several apps side by side. I also included a work flow with ShoeBoxed. ShoeBoxed was a big disappointment due to poor OCR, QC on the backend checks to OCR, and no option to re-submit scans that were bland or had errors. I made the suggestion and they quickly implemented a button to re-submit scans but tracking the scan to match it with the envelope it was sent in with or scans that were submitted using an iPhone were non existent. If there was a process I have no clue what it was since ShoeBox never responded to scans I re-submitted and I was never able to figure out what happened to them. I quickly realized I was missing information with no idea whether it was important or not. They had nice people working in support so it was a shame I had to discontinue with ShoeBoxed because it was sure nice to send them an envelope of receipts and have them do the scanning. After trying the Neat software and discovering it worked with my ix500 that’s what I decided to go with. I still have to scan stuff myself but I get immediate feedback on the results. If I find errors I don’t need to re-scan. I just need to select the document and have Neat re-analyze it. It puts all the documents in a holding folder allowing me to file documents and receipts I’ve scanned once I have had a chance to check them and if I don’t get through all the documents during that scanning session I can come back later and pickup where I left off since part of my workflow involves filing immediately after checking the document. Another part of the equation was bank statements. Why scan them if the bank already provided copies? After a little work I was able to automate downloading statements from some of my banks using an AppleScript which fired off when I received the email that the statements were ready. (I think I may have mentioned that to you before). One of my goals was to keep things off and out of the cloud. When I saw that Mint would collect all my statements from all my banks and credit cards in one place I really considered it as an option against my resolution to stay away from the cloud. However I still don’t like the idea that they are sifting through my statement to send me credit card, MM Account, and bank offers based on my financial profile. If they ever offer a product that comes with a subscription fee and a guarantee they will not sift through my information – I will likely take it. I could forgo all the scripting and scripting changes I make just to handle downloading statements. When I started I didn’t realize how often financial institutions were changing/renovating their sites. This is a pain since when they do, I need to edit the scripts and test them to make sure they work again. In recent months I have learned that because of the number of services and new types of information that will be stored in the cloud and because of the adoption of the cloud by big business. Big business has to do it to be competitive and they will. We as individuals have no choice. We are already in the cloud whether we like it or not. It’s a done deal. I still think limiting exposure by not being in every companies cloud is a good idea but I am starting to rethink even that supposition. I also realized that by saying ‘no’ to the cloud, I am also saying ‘no’ to new technologies that would be helpful time savers. The area is exploding now. New tools we never even considered. That’s the exciting part. I have a copy of Nuance’s pdf program for Mac. I deleted it from my Mac because I started getting lots of errors after installing it. That problem ended after I uninstalled the software. Notably, Dragon for Mac causes Word (365) for Mac to crash, but works and plays well with Pages.